I have added glitter to the water squirting up as well. As I am staying looking after my friends house I brought the Scan n Cut as I thought I could cut anything out on it - hopfully this plan will work in the next three and half months!! 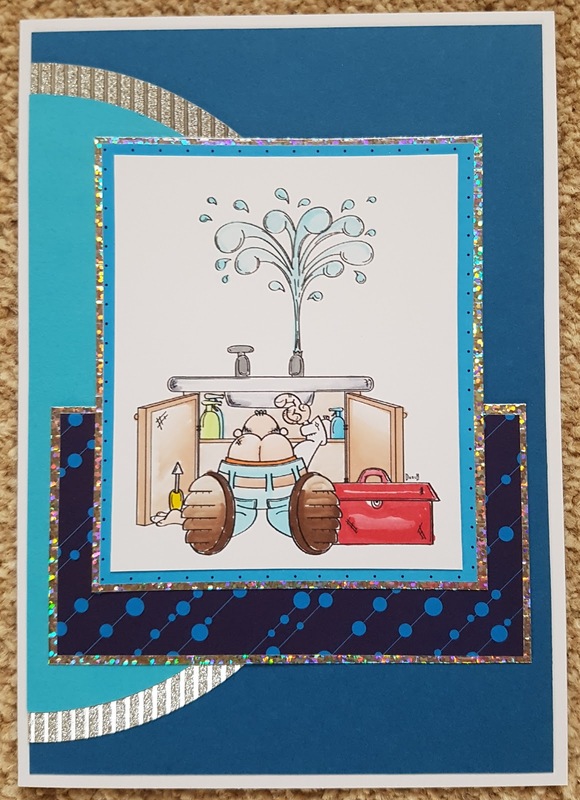 Many thanks for joining our challenge at Passion for Promarkers this week, your card has a really fun image and fabulous backing papers. haha.. to cute.. You have done a great job. hahaha... funny image. Great card. Thanks for joining our challenge at Passion for Promarkers. 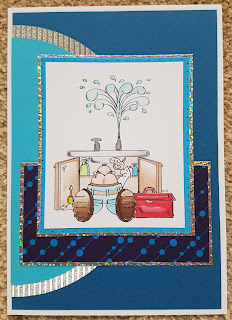 Fun masculine design! Love how you colored the image. Thanks for joining us at Mojo Monday!